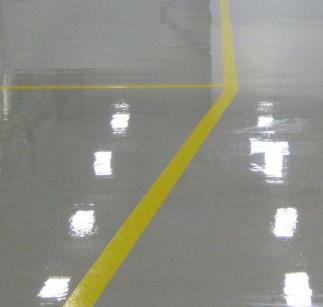 The sheen of an epoxy floor not only protects the surface, but also creates an impressive, attractive look. Want a showroom shine for your facility or cement floor? An epoxy coating can do that while also improving your floor's durability. Our epoxy flooring experts can help. We offer a wide range of single and 2-part epoxy coatings with 50%-100% solids depending on your specific needs. When you give us a call we'll have our team examine your substrate (flooring) and then recommend the best flooring option for your lifestyle and budget. Interested in learning more? Contact us today and schedule your free epoxy flooring estimate in Greenwich, Stamford, Norwalk, and nearby Connecticut! Get a free estimate for commercial or residential epoxy flooring today! Ready to give your facility, machine room, garage, or basement a beautiful showroom shine? Your local epoxy flooring professional at MDF Painting & Power Washing are eager to help. Contact us online or call 1-844-257-4559 to schedule your free estimate in Greenwich, Stamford, Norwalk, New Canaan, Westport, Fairfield, Wilton, Trumbull, Milford, Darien, and nearby Connecticut!